Nublix wrote: It probly wasnt a joke ._. 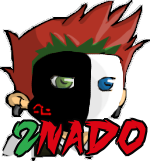 I say Nado for AT leader, because he isn't full of himself. Fyre for GT leader because he knows what he's doing in my opinion. X for comics team leader because he has the experience needed to run the team. I'm pretty sure I saw Xtaci say he didn't want to be leader because he didn't think he was fit to be one. Or something like that. Xtaci wrote: No thanks :l. I was a crap leader anyway. X wasn't awful. People just didn't like the fact that he led because they wanted an active comic maker to do it. And like hell they'd get one. I'm gonna try to continue baato's cookie, but Pirated is long gone. Mark+! wrote: I say Nado for AT leader, because he isn't full of himself. baato wrote: X wasn't awful. People just didn't like the fact that he led because they wanted an active comic maker to do it. Not like Riel made animations afterward. Neither did Brandon when he was GIF team leader. It was really just Gregio's fat bitching. And you don't have to "do" something in order to coach it. I recall, some famous pianist's old teacher went to ONE music seminar and immediately began teaching after that. Also, lol@handicapped water polo coach. Our team won CIF in our division. can i be animation team leader for my birthdeay present? Nublix wrote: can i be animation team leader for my birthdeay present? wait what? does that mean i have no chance of being at leader?